New Business Challenges that Take Advantage of Public Data! In the AI/IoT era, digital data is a new form of intellectual property. Seizing advantage of it is a key to developing new business, and pioneering companies have already started obtaining and exploiting various sorts of data. Particularly interesting to such companies are the immense pools of data held by the central and municipal governments, public research institutes, and universities. The panel will discuss possibilities for and challenges with building business models that apply public data through a case study. This study centers on the public-private partnership activities implemented jointly by the National Research Institute for Earth Science and Disaster Resilience and SEVEN-ELEVEN JAPAN CO., LTD toward disaster mitigation. Izuru Nishimura ICT PALANNING DIV. ICT DEPT. More AI less of a human kind in Asset Management? Advances in AI technology is so fast that gives an impression that many occupations are to be eventually replaced by AI. Would the job as a fund manager be one of them? We discuss the unique nature of financial portfolio selection and how we can utilize AI in the context of asset management. Sony “aibo” was launched on January this year and the sales is going well so far. Izumi Kawanishi, Senior Vice President of AI Robotics Business, introduce the story until launching, product concept based on doggy type, AI and robotics technology and the perspective for future. Yoshiko Sugawara Director,Intelligence Group R&D Planning & Coordination Division R&D Center MITSUI CHEMICALS,INC. Introducing the Japanese Version of the DB incoPat GB Patent Information System, Presented by Beijing IncoPat Co., Ltd.
10:00～10:45 We are announcing the launch of the Japanese version of incoPat in November 2018. Beijing Incopat Co., Ltd. (the developer) is introducing its new functions and features. We look forward to meeting you. 11:15～12:00 Patent Map EXZ now comes with a range of new features, including mass data capture, Excel output, finding compound words related to issues and solutions, extending maps, and creating lower layers for Tempest keywords. We also discuss how these features help you, and introduce how to use text information for map analysis. 12:30～13:15AI technologies applied to patent information are attracting ever more attention, giving rise to a host of new products. The question is, in what ways can they be used for real work? Clarivate Analytics, one of the leading providers of global patent information, introduces case studies on applying our proprietary technologies for patent information. 13:45～14:30 We introduce the updates and future designs of Orbit products that help to significantly improve the operational efficiency needed at every stage of the intellectual property process. ・IP search/analysis products: Orbit Intelligence, Expernova (multi-source DB), etc. ・IP management products: Orbit Asset (cost prediction/management) etc. 15:00～15:45 Patent investigation forms a crucial foundation for patent applications, invalidity investigations, and IP strategy formation. 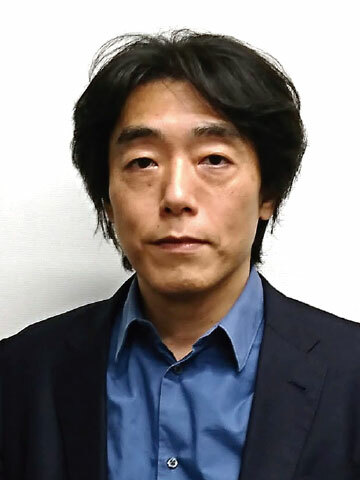 We introduce the AIRI Consulting Service, where we employ expert patent investigation techniques and know-how cultivated as an investigation firm registered by Japan Patent Office. 16:15～17:00 Knowing competitors’ and customers’ technologies of focus is essential in developing strategies. We will introduce a strategic analysis method that efficiently and logically narrows down important records and interprets loaded search results through data analysis and overall observations with enhanced precision, thanks to DWPI’s unique methodology. 11:15～12:00 Analysis holds a key to understanding IP markets and technical trends. What should you do to keep abreast of IP trends, and how should you do it? We present the landscape of patented IP using AI machine learning and RPA. We explain the key changes in the National Intellectual Property Administration (CNIPA), which evolved from SIPO. We also discuss recent topics related to intellectual property in China, trends in patent-related applications, lawsuit trends and countermeasures against counterfeits, and measures to protect trade secrets. In addition, we examine the latest information on topics including the commercial database we offer ([CNIPR] patents/[DesignScope] designs/trademarks/IP-related court decisions). 13:45～14:30 Exactly what is the information analysis that contributes to business strategies that intellectual property specialists need? We also discuss examples of quantitative startup search analysis that’s attracting attention from global enterprises as the demand rises for creating new startups, and introduce the new UI for our innovative Valuenex overview analysis tool. 15:00～15:45 We introduce a method to analyze patents related to the HMD technology that appears in Iron Man, a popular Hollywood movie, and formulate strategies to support core patents using WIPSGlobal. 16:15～17:00 Mieruka Engine is a cloud text mining solution that has been ranked No. 1 for seven consecutive years and is used by 1,500 companies. It supports the analysis and use of patent and literature information with a variety of visualization methods, including accurate language processing and network analysis. Mieruka Engine’s highly acclaimed usability produces numerous and diverse investigation results for our clients. 10:00～10:45 An exponential increase in the number of patent applications is creating demand to fundamentally reform intellectual property-related activities. In this lecture, an AI-based workflow is proposed for automating patent examination, the most a labor-intensive process. 11:15～12:00 Presenting our business (patent investigation, technical trend analysis, foreign applications, and translation/interpretation) and the swimy technical information distribution service. If you’re engaged in technical development, swimy service enables you to view technical information worth knowing without the need to search for it yourself. 12:30～13:15 We discuss how Darts-ip’s AI processes big data. This database comprises over 3.5 million IP-related lawsuits that Darts-ip has collected from 130 countries worldwide, and we show you how you can take advantage of the results. IP is useless without a business to leverage it. For this reason, understanding and taking advantage of the IP landscape, a term often used nowadays, is important. Our patent evaluation system PAT-VALUEAS can evaluate patents accurately using advanced statistical processes. You can then import the results to PAT-LIST-GLS, a system for global patent investigation/analysis, to create patent maps based on patent value. This makes it possible to analyze the correlation between patent value and business profits and the connections between patent value and patent information. 15:00～15:45 LexisNexis PatentSight is a tool that makes it easier to evaluate and analyze global patents using PatentAsset Index, an academically verified evaluation method. We present examples from across the spectrum of ways to use PatentSight to gain fascinating insights. 16:15～17:00 Protecting and employing technical information developed in-house in the IP creation cycle is vital, and using timestamps in these situations is effective. We explain the latest case studies and topics, as well as suitable approaches. 10:00～10:45 Knowing competitors’ and customers’ technologies of focus is essential in developing strategies. We will introduce a strategic analysis method that efficiently and logically narrows down important records and interprets loaded search results through data analysis and overall observations with enhanced precision, thanks to DWPI’s unique methodology. 11:15～12:00 Machine learning in the latest version of xipat enables you to conduct patentability checks and searches on invalid materials without having to be an expert. Its IP landscape function also allows for immediate determination of supremacy between your company and a competitor, infringements, etc. Necessary information to develop strategies such as for intellectual property, R&D and individual business can be quickly grasped by searching and organizing legal information, patent information, non-patent literature and big data such as product information posted online. 12:30～13:15 Navi Officer /N, more versatile and slimmer than the preceding Navi Officer used by many patent offices. This update makes the software accessible to all offices, and is steadily growing in popularity since its launch in 2015. We will demonstrate the services it offers in this presentation. 13:45～14:30 We will have Konica Minolta Business Associates Co., Ltd.’s patent search representative introduce a method that streamlines patent searches (SDI) using the patent analyzing tool “Patto Mining.” Case studies that successfully improved efficiency, together with practical procedures, will be presented that apply to various search situations. 15:00～15:45 Questel has comprehensively upgraded its consultation services in strategy development and management that are essential to intellectual property departments in each phase of business. In this session, we will present the unique features and advantages of our services. 16:15～17:00 We will introduce our IP office work outsourcing service, which supports small corporate IP organizations. In addition, we will present case studies, the three points for successful outsourcing, and the keys to developing talent for IP clerical work. 10:00～10:45 We will present a case study on cybersecurity using the latest analytical tool, AnalyticsV2, with PatBase included as a standard feature. Our presentation is ideal if you are interested in analytics, PatBase and AnalyticsV2 in general. China’s Publication Search System “innojoy” Installed in Baidu and TCL Debuts! ３．Our staff from China will be demonstrate monitoring, analysis and graphing features that are better than our competitors’. Family classification codes (FIPC/FCPC) were incorporated in WIPS-GLOBAL, the search system for overseas patent information. It will now be easier to run searches to prevent infringement without missing information during the process and searching. In our presentation, we will walk you through the procedures for an effective invalidity search, including the search, screening, observation and status check processes. We will also introduce machine translation services beneficial for overseas patent searches as well as case studies on portal site production to monitor other competitors. 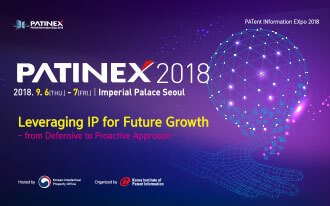 13:45～14:30 We will be presenting on IP Intelligence that will contribute to developing intellectual property strategies; Innography, a tool that is quick and easy to learn; and NGB FORECAST, a tool that predicts intellectual property costs and assists in developing intellectual property strategies. 15:00～15:45 We will be presenting on how to work with the data entry automation tool for patent offices. Furthermore, we will be introducing details on process deadline management and tasks for creating cover letters and invoices that differ for each customer. 16:15～17:00 This presentation will introduce the key points in managing the procedure that progresses from the management team to the development department to the IP department to achieve a real IP landscape developed by Intellectual Property Strategy Promotors. It also covers support activities that enable consistent visualization through its IT management platform. This session is only for companies who are serious about reforming their intellectual property! 10:00～10:45 Use of the Patent Asset Index to oversee global intellectual property trends will indicate the competitive power of patents from Japanese corporations in the global market. 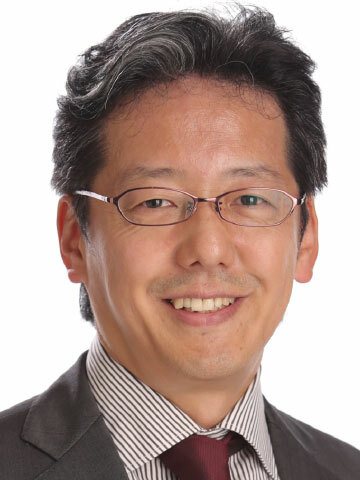 A PatentSight consultant will be presenting strategic insights for Japanese companies. 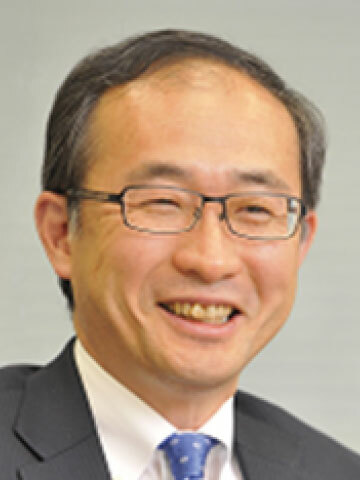 http://www.hitachi.co.jp/app/tokkyo/event/pif2018.html This session requires advance registration. 12:30～13:15 With their timely data updates, support on special data and innovative search methods, the CNIPR patent search system and Design Scope design search system comprise the most comprehensive and authoritative Chinese patent search services when searching Chinese patents. As the patent office for Europe, the European Patent Office (EPO) supports innovations, competitiveness and economic growth throughout the continent based on its responsibilities to provide quality and efficient service under the European Patent Convention (EPC). The EPO has been improving significantly during the past few years in terms of timeliness for processing first actions, screening and objections. Applicants can now expect first actions to be processed within six months. Here, we will be presenting and explaining the EPO’s ISO 9001-certified Early Certainty Program. This program enables timely quality information and reliable legal protection to exercise rights for investing, licensing and patent applications. 15:00～15:45 This service enables a cross-sectional full-text search of patent publications from key countries and institutions (China, Korea, U.S., EPO, PCT, Germany, France, U.K.) in English and Japanese. We will also be presenting our machine translation service with enhanced quality and new features. The service was jointly developed by Japio and Hatsumei-Tsushin Co., Ltd.
16:15～17:00 Highly recommended for research, development and IP departments! In this session we discuss KIBIT Patent Explorer, an IP strategy assistance system that can be applied during prior-art searches and invalidity searches without the need to have professional search-expression formulating skills. We also introduce new features added this fall. 10:00～10:45 AI technology applied to patent information has been increasing its presence with various products being launched. However, how can they be actually applied to your business? As the industry leader for global patent information, Clarivate Analytics will present case studies on patent information applied using our proprietary technology. 11:15～12:00 More and more companies are taking advantage of external training services to educate their employees about intellectual property. This presentation explains how your company can benefit from JPDS’s regular and on-site seminars and training DVDs for employee training. In addition, renowned instructor Ms. Misato Sakai introduces our new DVD release. ●Thoroughly check for mistyped claim terms and names of references, as well as typographical errors! ●Check for paragraphs and even words that were unintentionally omitted during translation! 13:45～14:30 We will be presenting a case study on applying the Brand Mark Search trademark search DB to trademark operations (searches) at TEIJIN LIMITED. In addition, together with JPDS we will demonstrate helpful functions and their features for trademark searches through actual case studies, together with clear explanations. 15:00～15:45 The automobile industry is facing unprecedented changes given the accelerated advancements in autonomous driving technology and new players joining the market. Together with case studies of our IP analysis and in-vehicle equipment, we will be presenting on effective intellectual property approaches for the automobile industry. Report on Fiscal 2018 IP AI Utilization Study Sessions —Introducing verification of AI conducted by 30 corporate members! 16:15～17:00 IP AI utilization study sessions were held in Tokyo and Osaka in February this year. About 30 members have conducted using the Deskbee R&D IP AI system from different perspectives, such as how take advantage of AI technology in the IP industry and how adopting AI technology will affect daily patent investigations in terms of efficiency. What is the True Competitiveness That Can be Measured and Created in Patent Portfolios? 10:00～10:45 Conventional landscaping has focused primarily on the “number” of a player’s patents. But can we measure real value through those numbers? What values are highly effective, lead to productization, and open paths to enter new markets? Which IP Management System Needs Almost Aero Input? 11:15～12:00 How did Fujitsu ATMS/PMV develop a system with RPA tools, ASU add-on tools, and office-cloud coordination that almost eliminates the need for data entry from the IP department? We present a report on operational verification, using practical examples that have wowed many clients. 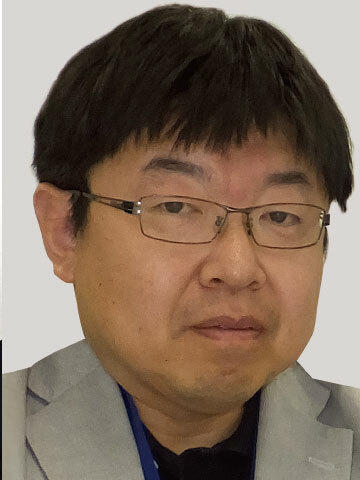 12:30～13:15 A researcher from NICT (National Institute of Information and Communications Technology) will be our guest speaker and discuss NMT technology, which is becoming the norm for machine translation. The talk will also cover the translation engine developed using NMT, translation services (General Incorporated Association, Japan Association for International Chemical Information) with high-precision translations of chemical compounds (English-Japanese/Chinese-Japanese) and text translation services (Property) available for multiple languages. Lexis Nexis Japan Co., Ltd.
13:45～14:30 The session will be about the Top 4 GAFAs (Google, Apple, Facebook, Amazon) in the technology industry based in the U.S. Together with a walkthrough on how their intellectual property strategies led so directly and effectively to business using the latest AI-powered portfolio analysis, we will predict the future by probing for who the next new innovator will be. 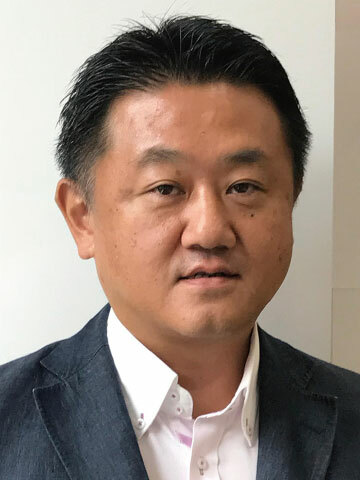 15:00～15:45 What the industry now needs are cross-cutting development strategies that are not a continuation of the past, such as IoT, connectivity, and kotozukuri (value creation). We introduce IHS Goldfire, a solution that helps you to effectively gain expertise in new fields and industries, take ideas into unexplored areas, and make decisions. 16:15～17:00 A new service platform that makes it possible to use NGB’s intellectual property services anytime, anywhere will be released. We will first offer pension management services on this platform. 10:00～10:45 We introduce the new Similarity Analysis feature that reinforces population creation, including how to use the Patent Asset Index to discover licensing candidates in technical areas close to your company’s expertise. You will also see case studies on how to use it effectively. 11:15～12:00 Keeping ahead of the growing need for global IP management, we demonstrate the latest version of Dennemeyer’s IP management system. The solution makes it possible to manage expiry dates by mining information on legal systems around the world and organizing products and issues on a per-project basis! R&D Intellectual Property AI System “Deskbee” Gets an Upgrade, with a New “Screening/AI Navigator” Feature! 13:45～14:30 To assist in the operations of R&D departments, our AI technology is tailored toward the need to reduce the workload during the screening process for patent searches that include significant irrelevant data. We will also propose R&D IP groupware “THE Chousaryoku” and a high-quality Japanese full-text database for world patents, “Japio-GPG/FX,” to improve work efficiency. 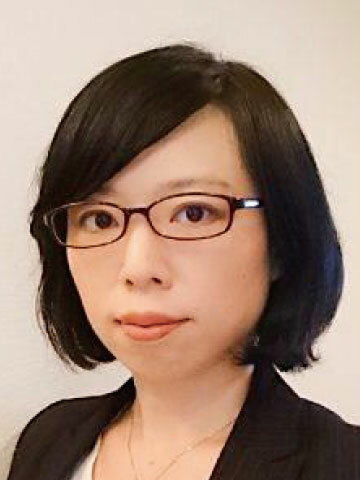 16:15～17:00 Using relevant legal cases to illustrate the situation, Beijing Sanyou Intellectual Property Agency Ltd. discusses how the number of submitted and examined patent applications for artificial intelligence and related technologies has grown in recent years in China. They provide valuable insight about what to focus on when preparing application documents. CHUO KOGAKU SHUPPAN CO., LTD.
Clarivate Analytics (Japan) Co., Ltd.